For years, Adoration Servants was practically a one-person show. All the development for the Chapel tools and the Diocesan websites were almost all done by a single person. At times, that person would hire others more proficient because, due to limited resources, it would be less costly to pay professionals than do the work alone. In addition, we refused money offered us and worked as financial and time priorites allowed. Now as a 501(c)(3) organization we can accept donations that are fully tax deductable. We have a board that is putting in time and effort to improve the help Adoration Servants can give. We want to do more. We cannot be a one-person show any longer. We need help! We need help with system development, data entry, and recruiment of funds and skills. 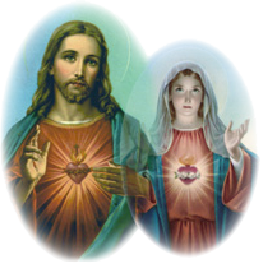 Could our Lord & Lady be calling you to help us help others bring souls to the Blessed Sacrament? Are you skilled in any of the areas below? Adoration Servants develops primarily using Microsoft ASP.NET, Microsoft SQL Server and Javascrip. If you have experience with these tools we surely can use your help. We also are in need of graphic artists, illustratrors and webmasters who know CSS, HTML5, etc. If you are reading this, then all the copy on this site is in a sorry state. Written by a technical person trying to get enough content to get this site up in its new state so he can get things moving and get back to the programming tasks at hand. We need all kinds of things written. Not only for this web site but also motivational chapel flyers encouraging people to committ to adoration holy hours. We could use articles written for blogs or other media explaining what we can do. If you are the person for this effort, you know better than the one writing this, so let's just stop the typing. We need to keep up with what is going on in the world, in the Church, in the Social Media. We need statisticians to help us analyze trends and the effects of Eucharistic Adoration in the world. Keeping up with Chapel Adoration schedules, devotional events, and other information maintenance is important but often neglected by Eucharistic Ministries, dioceses, and chapels. Even if these organization make use of our tools, there is still significant work to keep data up to date. We want to help in that effort as well. All you need to do much of this work is be able to post information to facebook, place an order on the internet, or similar activities. If you can do that, you can maintain chapel hours, post events, or take on many other tasks as they are identified. We do everything free to the organizations we help but everything takes time and money and this has to come from somewhere. For years, Adoration Servants has refused money offered and now that we are ready to accept it, we still do not want to ask for it. We certainly do not want to do fundraising at the expense of the actual work. So if you are a fundraiser, if that is your charism, please consider helping us raise money. We will translate this page into as many languages as we can. As our system is database driven and designed for multi-langauges, all we need is tranlators.